Every year Californians buy about 22 billion beverages in aluminum, glass and plastic containers. Every one of those containers can be redeemed for a few cents each. That means trash can be turned into cash, providing a lifeline for a subculture of marginalized recyclers — the unemployed and underemployed, the elderly, the mentally and physically disabled, former criminals, drug addicts and prostitutes — who, through recycling, earn money and reclaim the pride that comes with having a job. A new documentary, "Dogtown Redemption," tells the stories of some of the people who make their living off our nation’s vast river of trash. The film focuses on three central characters living in Oakland, following them over seven years, to give insight into the lives of America’s unseen. One of those people is Landon Goodwin, a former minister who has struggled with his own fall from grace. 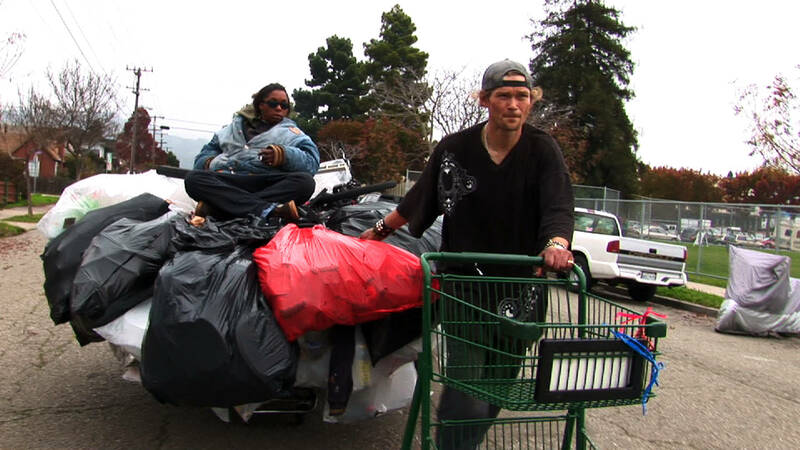 He found himself living on the streets of West Oakland and relying on income made from recycling. 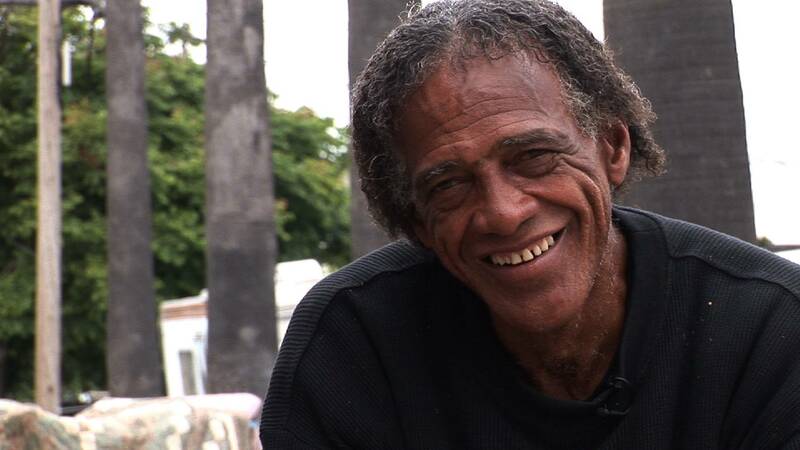 The film, which was produced by ITVS and will air on PBS next week, chronicles Goodwin’s long climb out of that valley, which began after two vicious back-to-back attacks left him feeling unsafe on the streets and in the shack that he used to call home. Landon eventually leaves West Oakland for some tough love: his cousin’s drug rehabilitation center. The film tracks Landon as he leaves behind his friends and community — the recyclers — to return to his position as preacher. Can he serve as the bridge reconnecting the recyclers back to the worlds, the churches, the professions, families and futures they have lost? "Dogtown Redemption" follows Goodwin and the other recyclers through the prism of a single recycling center: Alliance Metals in the Dogtown neighborhood of West Oakland. With annual sales in the millions, Alliance is an anomaly in an otherwise depressed neighborhood that has witnessed the steady flight, erosion and collapse of American industry. Residents of new developments in West Oakland view Alliance Metals as noisy, smelly and dirty — a giant garbage can that attracts scavengers, drug dealers and criminals. The rattle of the shopping carts, missing garbage cans, litter on the streets, public defecation, theft, crime and trespassing are offered as evidence that the recyclers are a blight upon the neighborhood. After years of fighting, Alliance Metals is now slated to close in August. Amir Soltani, the film's director, was recently on KQED Forum. The entire episode can be heard here. "Dogtown Redemption" airs nationally on PBS on May 16. The entire film can be streamed online beginning May 15 through August 14. More information about the film can be found here.